Theranos founder and CEO Elizabeth Holmes said late on Wednesday that the business would close its labs and its testing centers for Walgreens. The letter, which was posted on the website of the company, was an epitaph for the business that at one time was a celebrated Silicon Valley business that Holmes touted would change the world though its inexpensive, simple pinprick blood test. In interviews with print publications, appearances on TV and speeches around the globe, Holmes said the Theranos innovation would give consumers power by allowing them to bypass gatekeepers – doctors – to receive important data about their body’s health. Many investors as well as consumers believed her story, and the company at one time had a value of $9 billion, which made Holmes the youngest ever, female self-made billionaire. However, as the business grew, questions mounted about the technology. In a number of reports that second-guessed the technology beginning in October of 2015, employees of Theranos were questioning how accurate the results of the testing was and revealed that regulators from the federal government were looking into that matter. At that time, the company started an aggressive campaign of defending itself against those accusations but during the summer of 2016 acknowledged defeats. In June, a partnership with Walgreens was terminated immediately by the drug store chain. Then in July, harsh sanctions were imposed against Theranos by the Center for Medicare and Medicaid Services. 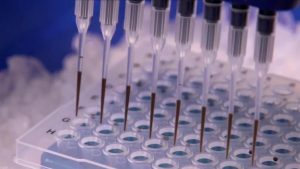 Those sanctions imposed a fine, revoked its certificate for its lab and banned Holmes from operating, directing or owning a lab dedicated to blood testing for a minimum of two years. The announcement on Wednesday shutters the consumer-focused operations of the business. Those operations were what were promoted so much by Holmes. This move will affect over 340 workers in Pennsylvania, California and Arizona and Holmes gave recognition to all of them for remaining with her. Holmes said the business would focus at this time on its minilab platform that she called a product that would be automated, miniaturized laboratories that are capable of performing small volume sample testing. The emphasis will be on patient populations that are vulnerable such as pediatric, intensive care and oncology.